How do I transfer music from iTunes to iPhone ? 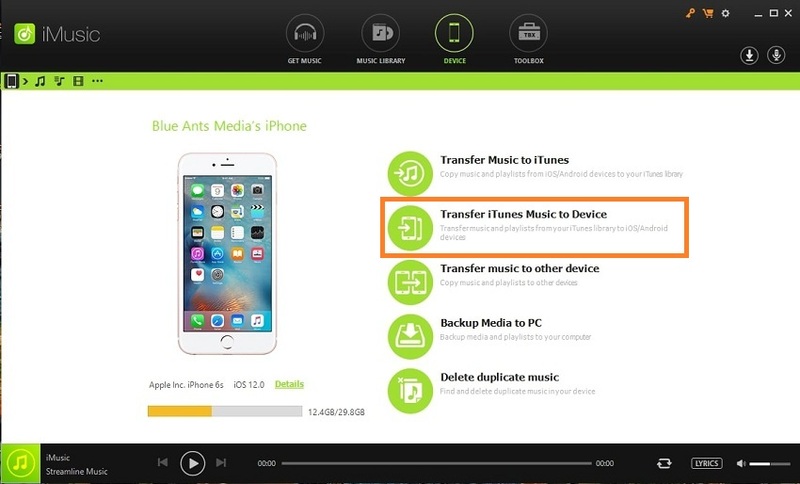 There are many reasons why you are most likely to consider transferring the music files present in your iPhone and iTunes library. It happens a lot when people mistakenly delete the files from their iPhone and later want it back. Normally, this can’t be possible. But if you are using an iPhone and talking about music files, then you can get them back. 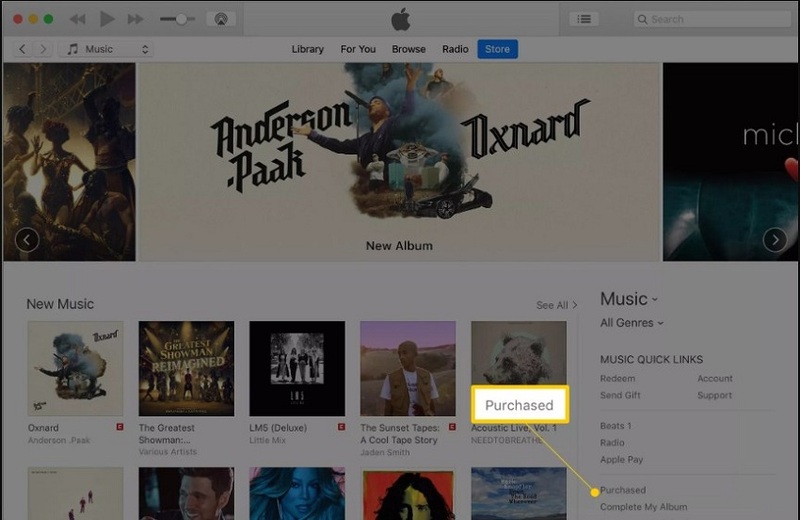 If you unexpectedly deleted a purchased song from the iTunes Store, then you don’t need to worry at all. There are multiple ways to transfer songs from iTunes to iPhone. You can try out various methods to get the songs in the iPhone but here we will only discuss the easiest method. Here in this article, you will understand how to transfer music from iTunes to iPhone freely. Plus, you will be glad to know that even if you deleted the purchased songs from the iPhone, you can still have them back without paying for the second time. Step 1 : Launch the iTunes app in your computer and make sure that you have the latest version of iTunes. 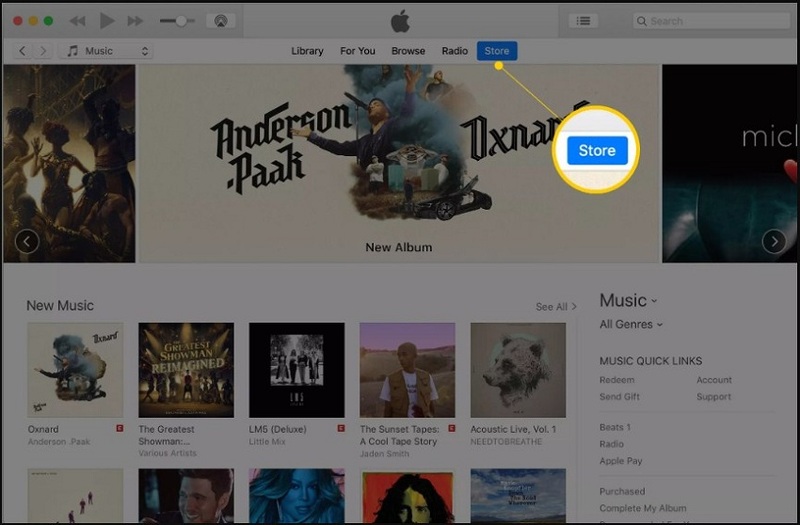 Click on the Music option from the left side panel and open the iTunes Store. Step 2: In the quick links section, you will find the Purchase option. Click on the option and the songs that you’ve purchased from the store will be displayed on the screen. Step 3: Switch to the Not In My Library tab and the list will be filtered. 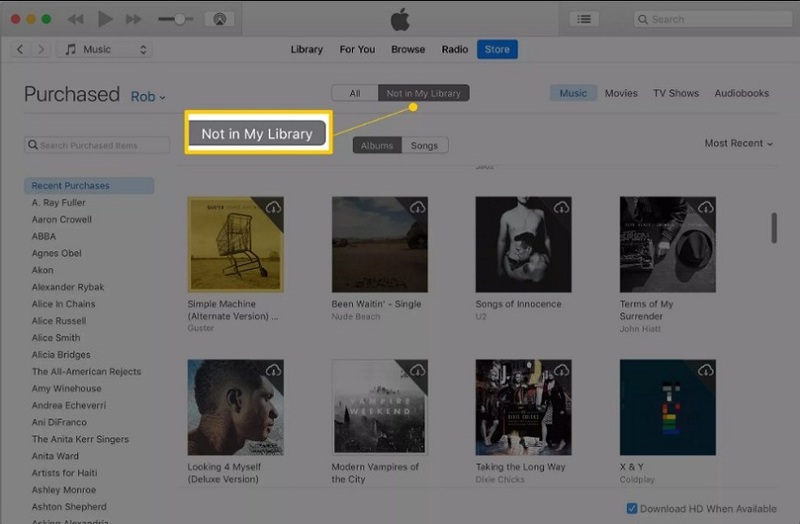 Now, only the songs that are not present in your device library will show up on the screen. Step 4: Now, you can further choose whether you want to see the list as Albums or as Songs. You can also search for the artists in the Recent Purchases section. 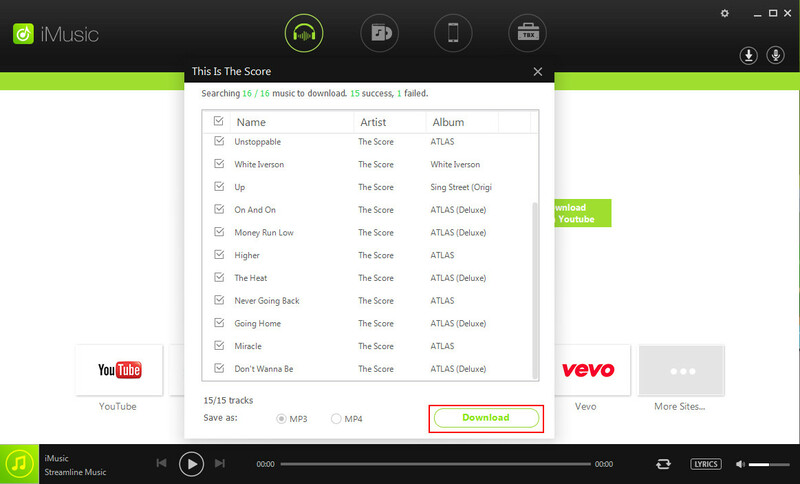 Step 5: Whether you click on an Album or switch to the Songs tab, the song list will be displayed. On the right top corner of every file, you will see a cloud icon with an arrow pointing downwards. This is the download icon. Click on the icon of the songs that you want back on your iPhone. And that’s it, the songs will be downloaded on your IPhone automatically and appear in the iTunes library. You can also download the purchased songs directly on the iPhone using the iPhone. This is how you can transfer the purchased music from the iTunes store to iPhone within the iTunes application. As you can see, the process of downloading purchased songs from the iTunes store to iPhone is very complicated. Thus, you need an alternative which provides you an easy and free solution to the iTunes software. Luckily, iMusic is here to help you. 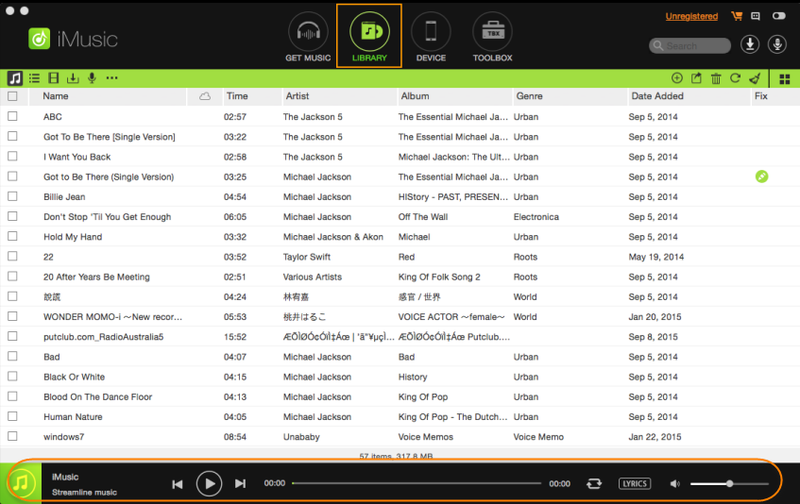 With this all-in-one music manager tool, the users can easily browse, download, record, and share music files between various devices. 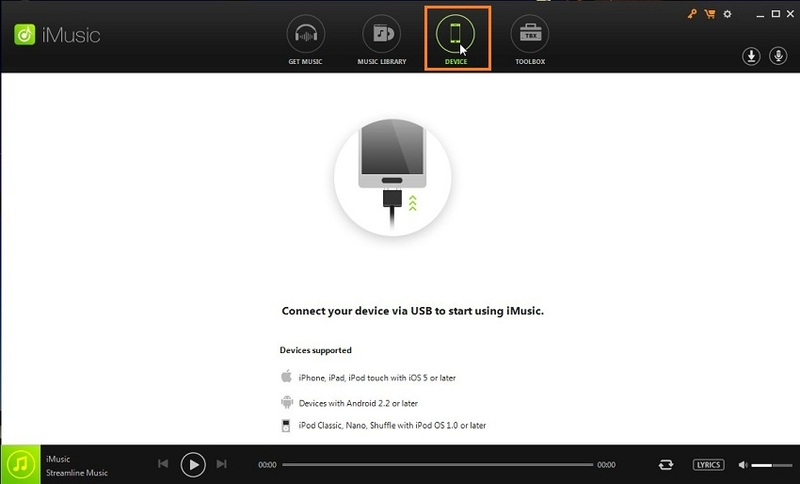 The software can easily transfer music from iTunes to iPhone and vice versa. You can use this software as a backup tool, repair, and fixing tool and as a cleaner too. It is multipurpose software which can even remove the DRM protection from the old Music files available on iTunes. Easily and safely transfer music from itunes to iphone. Transfer music from itunes to iphone/iPod/iPad/Android/Windows/Mac without any trouble. Contains various useful tools to help you manage the music files in iTunes and iOS devices. Transfer music files from iTunes to iPhone/iPad/iPod and vice versa. Download songs from over 3000 music sharing platforms. Batch download and file sharing without any delay. Visit the official website of iMusic and download iMusic on your system. Install the software carefully and launch it. Now, connect your iPhone with the system using a digital cable and allow device access to the software. 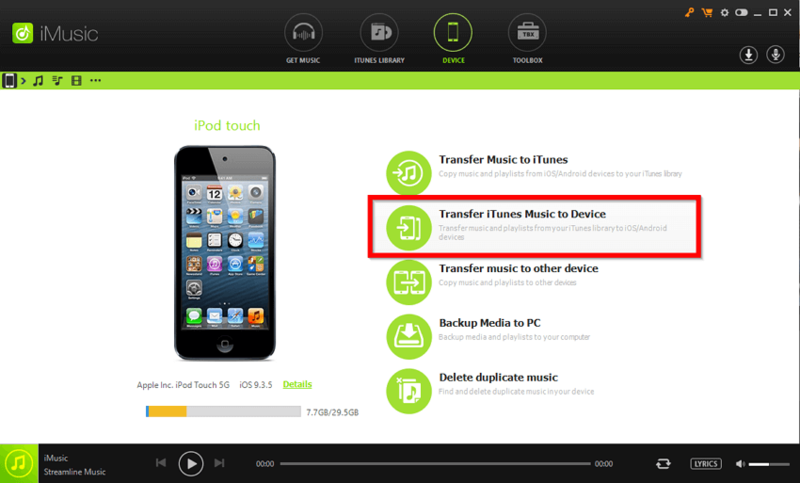 Click on the “Transfer iTunes Music to Device” option and select the file types that you want to transfer. Then click on the Transfer button to initiate the transfer process. 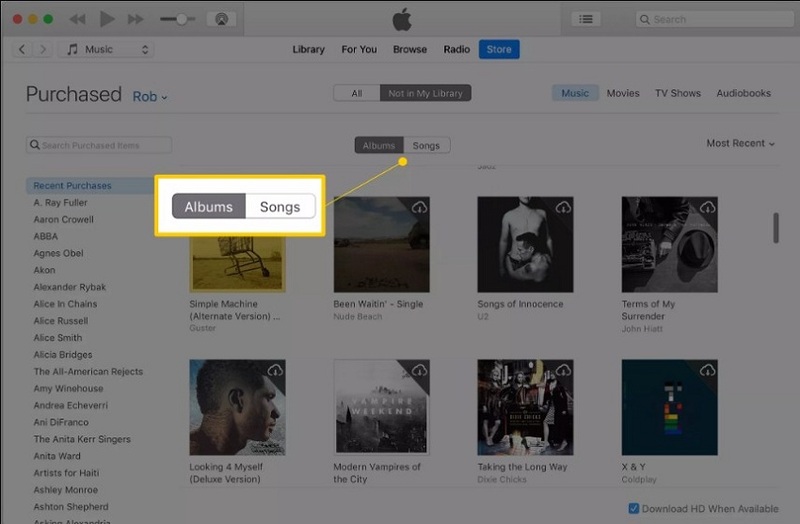 Within a while, the songs from the iTunes library will be transferred to your iPhone. If you want to perform a selective transfer, then you can use the export option. For this, you have to open the iTunes library and choose the songs that you want to transfer. Click on the checkboxes in front of the files and select as many as you want. Then right click on the files and choose the Add to option. Further, click on your iPhone name and transfer the files to the device directly. You can also click on the share icon on the right side of the menu bar to export the songs to your iPhone. The library tab allows the users to transfer a playlist, audiobooks, podcasts, and other music files separately too. In between all the requirements, you must be wondering what is the main purpose of iTunes and why it just a one-way authentication service, its pros, cons, and key features, etc. well, here, you can gather up all the basic knowledge about iTunes and also learn few methods to fix errors that are common in iTunes. Basically, iTunes was designed as a media player and media library for iOS device users. But with time, the application became much more advanced. And now, it is used as a media player, media library, internet radio broadcaster, and overall the best mobile management application. You can easily share and transfer music from iTunes to iPhone and vice versa. The main focus of the application is music along with the library that offers organization, collection, and storage space for music files. Even though Apple Inc has extended the features with various optimization options still, the users pay more attention to music files as compared to others. Ping: This is the newest feature of the iTunes application. With the Ping feature, you can insert a social networking element into iTunes. You can follow various artists online and get early alerts on albums, releases, and concerts too. In addition, you can find links that make easier to purchase music. AutoSyncing: With iTunes auto-sync feature, you can detect iOS device immediately. And it can also download the content that is not present in iTunes. You can update songs, videos, podcasts, audiobooks, and other files too without even going through the long manual process. Smart Playlists: You can easily set various parameters to create a customized playlist in iTunes. The parameters include the song’s genre, date of release, ratings, etc. If you add a new song that matches the Smart Playlist parameters, it will be added to the playlist automatically. Home Sharing: If you own multiple Apple devices like MacBook Air, desktop, iPad, iPod, etc. then you can turn on the Home Sharing feature. 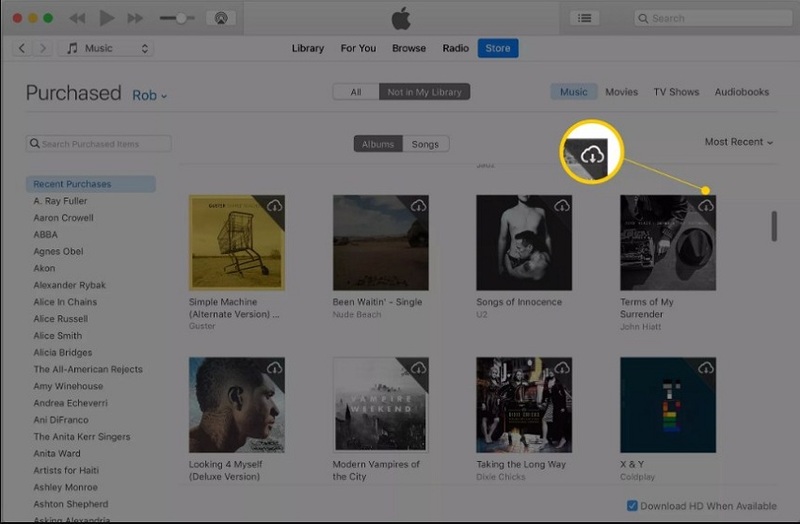 This feature would allow you to share music across multiple devices. But you have to make sure that every device is logged in with the same Apple ID. Genius: This is another latest feature of iTunes. It assembles the playlist for you. The only thing you need to do is to pick a song and Genius will create a playlist around it. Isn’t it brilliant? There is an unlimited feature with the latest update of iTunes that you will find intimidating. Even though iTunes comes with great features, but that doesn’t mean that it is not vulnerable to working errors and problems. With the below-mentioned pros and cons, you can understand that even iTunes has a positive and negative side. Sleek design with personalized menus and pages which are aesthetically pleasing to every user. Robust Store that has content that you really want along with a variety of music, TV series, and movies store. Device syncing function is the big highlight to iTunes. It can easily sync up the data between various devices automatically without any hassle. The main drawback of the application is being Apple Centric. The application isn’t accessible to the users outside the Apple suite. The store can be expensive sometimes to purchase songs and videos when they are available for free on various platforms. Once you’ve learned how to transfer songs from iTunes to iPhone, there are chances that you face some issues in the process. In case iTunes runs into an error, then there are several methods that you can try to fix the errors. Here, we are listing the top 3 methods that are the common solution when iTunes doesn’t work. Try Updating iTunes: Most commonly, iTunes gives a working error when it is in potential need of an update. You can easily update the software from the Apple Store or from the iTunes interface. Restart Your System: Sometimes the system interferes with the working of iTunes application. For this, you can try restarting the system and see if iTunes is working properly or not. Check System Security Tool: The system security tools also interrupt the sound working of iTunes. 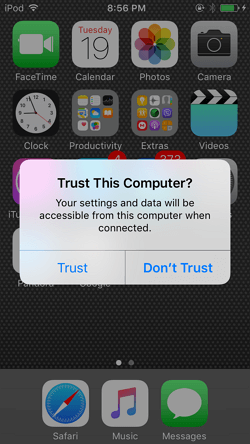 Thus, you need to make sure that the security features aren’t causing troubles with your connection with iTunes. Transfer songs from itunes to iphone with simple clicks. Conclusion: As you can see, iTunes may be full of wonderful feature, but it is also prone to risks. For such kind of situation, it will be better if you choose the iMusic app to transfer songs from iTunes to iPhone freely.